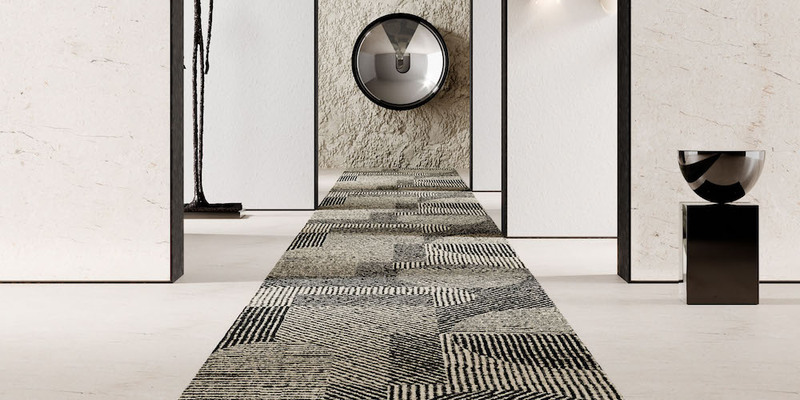 The Boutique Design Trade Fair (BNDY) is the hospitality show, bringing together the industry's interior designers, architects, developers, and experts to see the latest furnishings, lighting, fabrics, wall coverings, flooring, carpeting, bath and spa, and accessories. We spent one day going to and fro between 600 booths and presentations. Check out a few of our favorites below. Hayon x Nani collection Jaime Hayón for Nanimarquina Spanish designer Jaime Hayón designed a collection of rugs based on hand-drawn sketches for Nanimarquina’s 30th Anniversary. The Paul Klee–like rugs feature curious motifs and figures, including animal heads, abstract shapes, and fluid line work. Grid Collection Warp & Weft for Yabu Pushelberg The first four rugs from a new collaboration between Yabu Pushelberg and Warp & Weft were revealed during BDNY (the remaining eight designs will be released throughout 2018). Inspired by the right angles and geometry of urban topography, principals George Yabu and Glenn Pushelberg softened and simplified the visual narrative of rigid city streets by deconstructing grid-like patterns and transforming them into one-dimensional planes. Spanish industrial design masterminds Miguel Milá and his son Gonzalo Milà created a a sleek rattan outdoor seating collection, available in natural wood and black. Olivio Armchair iSiMAR This expressive armchair is fashioned from polyester powder-coated galvanized steel, and is offered in 24 colors and 5 metal finishes. Cestita Batería Santa & Cole A new wireless adaption of a light fixture originally designed in 1962 by Spanish designer Miguel Milá is now available as a small rechargeable, portable table lamp. Cestita is encased in a bent wooden structure with a top handle that envelops an opal-shaped orb. Koord El Torrent Designed as a part of the portable division of the collection, these battery-powered luminaires filter light through a woven rope shade creating a venetian blind lighting effect; available in four sizes, a variety of colors, and suitable for outdoor or indoor use.